I love Mexican flavors. Lime, cilantro, the soft hint of chili. Mmmmm…..I think I crave them even more now living in Australia because they are not readily available. Canned black beans, a staple of my diet in the U.S., do not exist in Melbourne grocery stores. Out of season, limes can cost well over a dollar apiece and avocados can be upwards of $3, making a simple burrito prohibitively expensive. 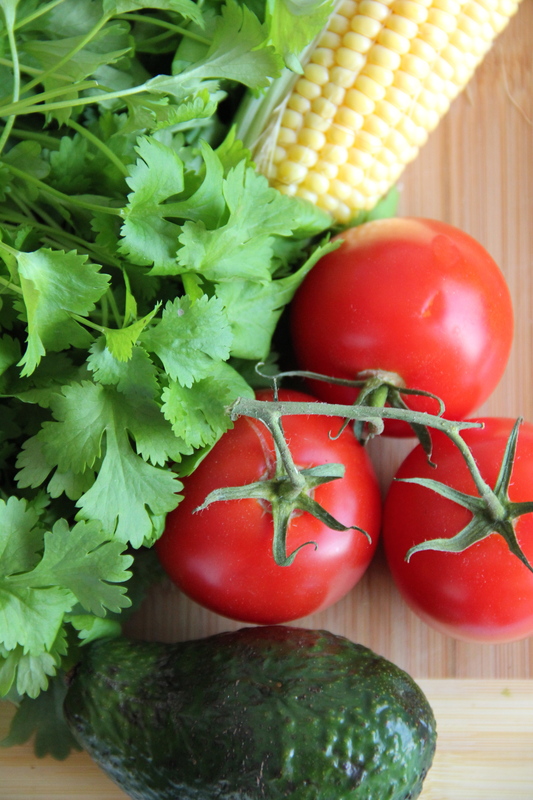 Fortunately, it is the season for these wonderful flavors right now and I felt inspired to make a tangy, healthy, and delicious chopped salad. 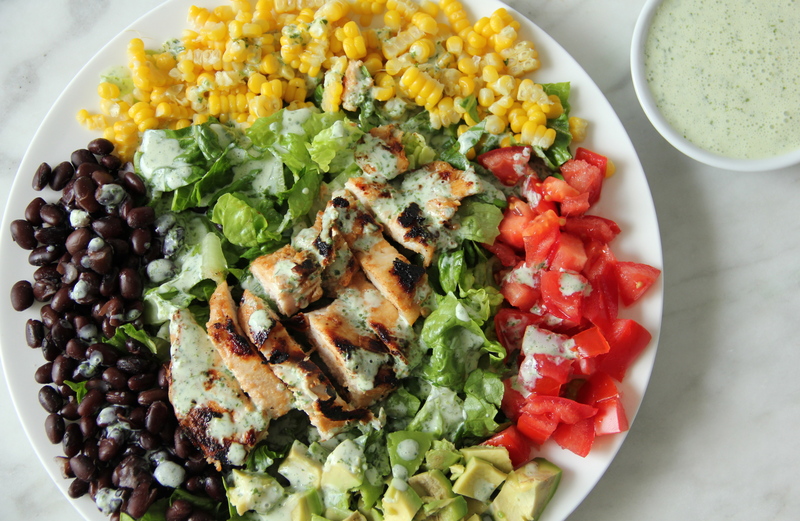 This is essentially Chili’s Southwestern Cobb Salad – just with a tad less calories and fat. Like probably 700 less calories and 50 fewer grams of fat. Not much, just a smidge. Mix lime juice, soy sauce, and chili sauce together in container or Ziplock bag. Push garlic cloves through a garlic press into marinade. If you don’t own a garlic press, it is fine to mince the garlic, but putting it through the press will really bring out the flavor. Add the chicken breasts and marinate for 4-10 hours. I put the chicken in the marinade before leaving for work and it is perfect when I come home. The chicken will turn a little white in the marinade – this is just the lime “cooking” the chicken, like it does with fish in ceviche. In a perfect world, you would grill the chicken before adding it to the salad, but since we don’t all have grills (including me), cooking the chicken on the stove over medium heat will work as well. 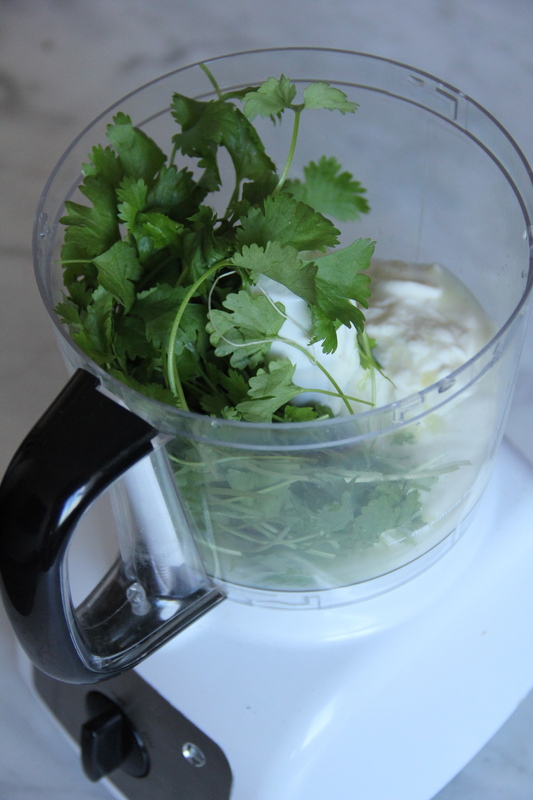 Combine all ingredients in a food processor and chop until fully blended. It’s that easy! I love lime and this dressing is quite potent, so if you aren’t quite as big a lime fan as I am, you might want to use only ½ lime. Distribute salad ingredients evenly between two plates. Drizzle dressing over the salad or serve dressing on the side for the fork method of distributing salad dressing (maximum taste, minimum calories). Enjoy!